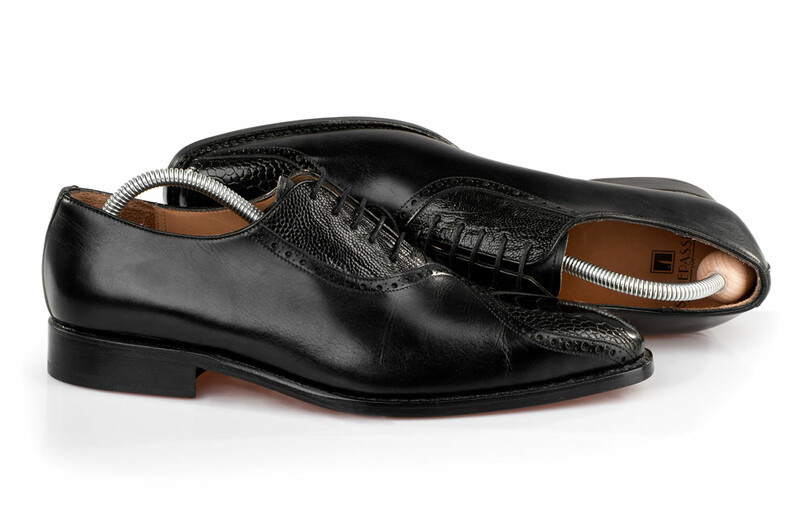 During the manufacturing process, a shoe last supports your leather upper. 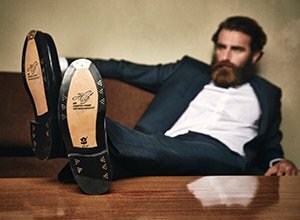 Whilst wearing Oxfords and Derbies, our feet do the same thing. But what exactly protects our footwear, when not worn for a long period? Shoe trees of course! Wooden shoe trees are an indispensable part of sophisticated shoe care, for anyone who wants protect their footwear’s original shape and maintain their good looks for many years. 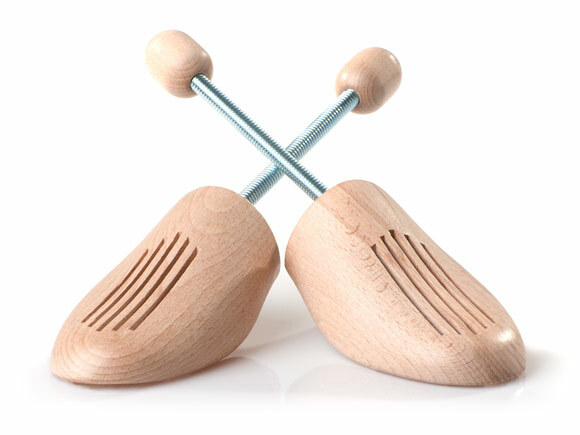 The spiral wooden shoe tree in beech is a classic care item. It boasts a spiral spring attached between a rounded wooden end piece and a front section in finest beech, shaped like the human forefoot. 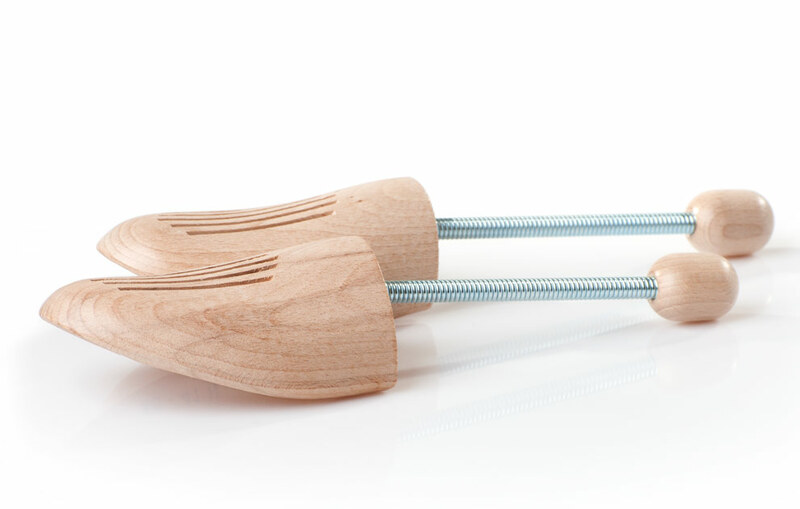 The wooden shoe tree’s toecap fits any men’s footwear, while the metal shaft flexes to tuck inside the counter cap. Equipping your footwear with a high quality wooden shoe tree prevents them from losing their shape when they are stowed away for a longer period. Furthermore, creases from walking will be smoothed, material cracking prevented and any moisture inside the shoe absorbed. 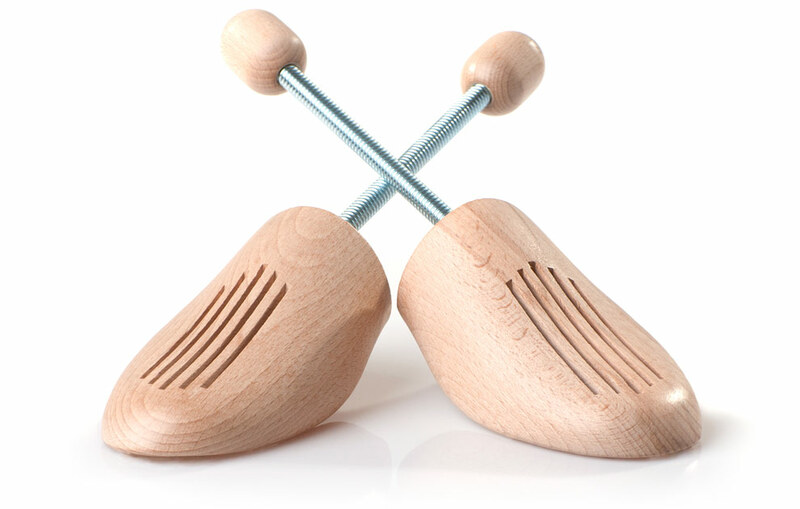 The spiral wooden shoe tree is made from untreated and ecologically sound beech wood. Without varnish, it is able to absorb more moisture than its lacquered cousins. All of our products are painstakingly crafted and even here, the spiral does not flap while inserting the wooden shoe tree. The air-slots on the forepart also guarantee great circulation inside the footwear and ensure the right foot climate for when you next choose to wear the shoe. Place our spiral wooden shoe tree inside your footwear right after taking it off. When the leather is still warm and a little damp from wearing, the shoe tree’s shaping effect is more pronounced and it will take care of any excess moisture in the footwear. If properly cared for, with the help of wooden shoe trees, your footwear is guaranteed a long lifetime. While most companies offer only a choice of double sizes, our beech spiral wooden shoe trees are available in single sizes between 38 and 48. For those who prefer though, we do still offer them in double sizes, too as follows: 36-37, 38-39, 40-41, 42-43, 44-45, 46-48 and 49-50. Please note: If you bought a shoe model, which is crafted on the sharp pointed “contemporary shoe” last, please order a wooden shoe tree in a smaller size. This concerns the following models: 337, 340, 341, 350, 351, 360 & 390.